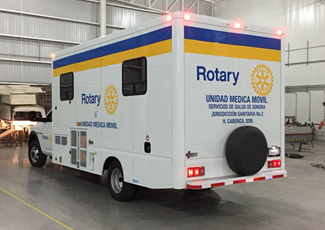 As part of the Club's annual International outreach support, the Sierra Vista Rotary Club (along with other clubs in Southern Arizona and Southern California) provided funding for the purchase of a new Medical Van for Caborca Mexico. 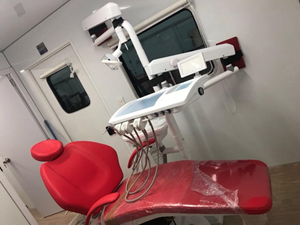 The global grant's objective is to provide funding to the health jurisdiction of Caborca Mexico for a mobile medical unit, which has two cubicles of health care: one of them equipped with a dental unit for treatment of children and adults. 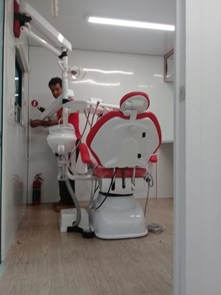 The second cubicle has a gynecological couch for review and early detection of problems in pregnancy, as well as samples of Pap smear for early detection of cervix cancer. 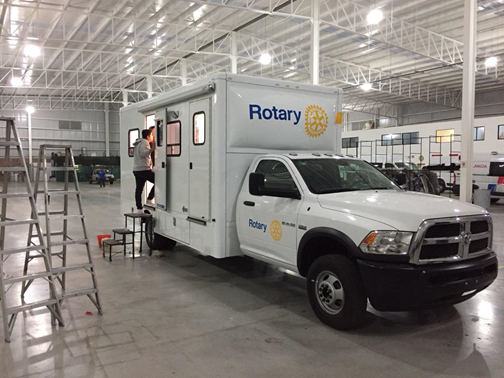 GG total was $81,050.